Set of 8mm Nuts that use an 11mm wrench. Great for extra clearance on Intake Manifolds and Exhaust Systems. 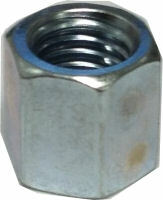 These nuts are Steel and come in a Qty or 8.